The summer programme at St Carthage Hall opens with a solo exhibition of works made by the late William McKeown in Lismore during the early 2000s. 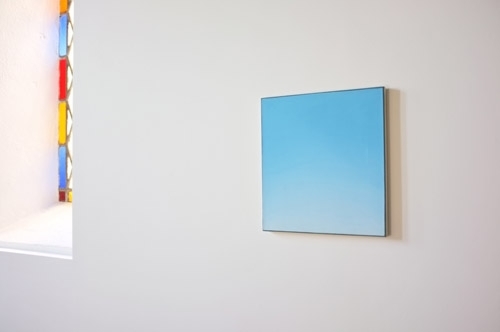 McKeown's painting focused on representations of the morning sky, in particular the ever changing light. These paintings formed the basis of his exhibition at Douglas Hyde Gallery, Dublin in 2001 and his subsequent participation in the Northern Ireland Pavilion at the Venice Biennale in 2005, and have never been shown collectively together. This exhibition runs until 30 June 2013.